Prior to the 2013 Procigar Festival in the Dominican Republic, S.A.G Imports announced their latest addition to the Fonseca line – the Fonseca Cubano Exclusivo. This marked the first addition to the Fonseca line since 2011’s Fonseca CXX Anni release. While Fonseca has traditionally offered milder cigars, there are also some fuller offerings in terms of strength and body to the line. The CXX Anni, Fonseca TAA Signature Series, and Fonseca Cubano Limitado are examples of such offerings. The Fonseca Cubano Exclusivo provides another option – and this time in the form of a box-press. I recently have had a chance to smoke this cigar and I found this to be a wonderful addition to the Fonseca line. The Fonseca brand was named for Don Fonseca who started the line in Cuba in 1891. After the nationalization of the cigar business in Cuba, the Quesadas would emigrate and eventually wound up in the Dominican Republic. When Manuel Quesada opened the MATASA factory in Cuba, he brought the Fonseca brand with him. S.A.G. Imports is the distribution arm in the United States for cigars that are made at the MATASA factory. Let’s break down the Fonseca Cubano Exclusivo and see what this cigar brings to the table. 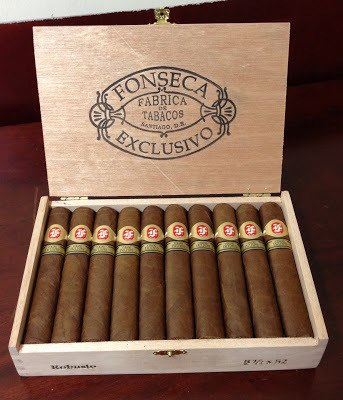 Like the Fonseca CXX Anni, we mentioned that the Fonseca Cubano Exclusivo is a fuller offering in the Fonseca line. The two cigars also have another common bond in that both blends utilize the Dominican Havana Vuelta Arriba wrapper. The Fonseca Cubano Exclusivo is available in four frontmarks. Each of the four sizes are in a box-press shape. The cigars are packaged twenty to a box. For this cigar experience, I went with the Robusto vitola. The Fonseca Cubano Exclusivo Robusto is a well-packed box-press. The Havana Vuelta Arriba wrapper of the Cubano Exclusivo looks like a slightly darker version of a Connecticut Shade wrapper. The wrapper itself has some oil to it. There are a couple of visible veins and there are some visible wrapper seams. On the surface, there are a couple of “frog eyes” on the wrapper. Frog eyes are green spots often common to Ecuadorian Connecticut wrappers and are not a sign of any damage. I was a little surprised to see them on this wrapper. Overall, I think it adds a little charm to the cigar. This example of the frog eyes is most likely a more isolated instance, but still an interesting part of this cigar’s complexion. There are two bands to the Fonseca Cubano Exclusivo. The first band is similar to the classic Fonseca band found on much of the core line of cigars. In the center of the band is the red and white Fonseca logo. Under the logo is the text “MATASA” in white font on the logo’s red background. There is gold trim around the outer edge of the band and the Fonseca logo. On the left side of the band is the text “FONSECA” in red font on a thin white rectangular field. On the right side of the band is “IMPORTED” in red font on a thin white rectangular field. 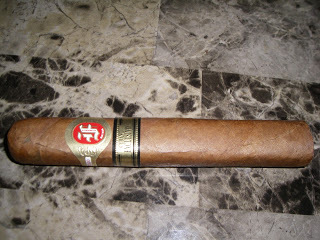 There is a secondary band that is reminiscent of the primary band of the Fonseca Cubana Limitado. It has a gold background with black trim and font. On that band is the text “CUBANO” with the text “EXCLUSIVO” below it in a larger font size. For my smoke of the Fonseca Cubano Exclusivo, I opted to use a straight cut to remove the cap. Once the cap was clipped, I commenced with the pre-light draw. The cold draw yielded a combination of wood, light spice, and a light cherry/citrus combination. 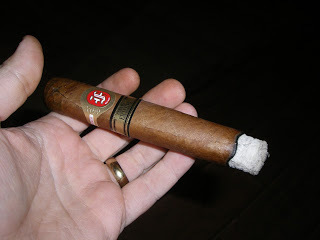 Overall I considered the pre-light draw of the Fonseca Cubano Exclusivo to be satisfactory. At time point, it was time to light up this cigar and see what the overall smoking experience would bring to the table. The start to the Fonseca Cubano Exclusivo reminded me of the start of a bolder Ecuadorian Connecticut Shade cigar. The flavors were a mix of pepper, butter cream, and citrus. The citrus notes had a little bit of a different quality that I could not put my finger on, but I would lean toward the flavor being more like grapefruit. The citrus notes also had a nice lingering effect on the finish. By the five percent point, the flavors transitioned to more of a combination and natural tobacco flavors. The pepper notes remained secondary while the citrus flavors were more present on the after-draw. In the second third, the citrus notes folded in with the natural tobacco flavors as a primary note. In the background, were the spice flavors – which were at this time a combination of baker’s spice and cinnamon. The spice notes began to increase in the second half and by the final third, they had returned to more of a classic pepper spice. The pepper, natural tobacco, and citrus notes would have equal footing in the later stages of the smoking experience. This is the way the flavor profile held until the end of the cigar experience. There was no harshness at the end of the cigar. The resulting nub was ideal – firm to the touch and cool in temperature. Both the burn and draw score very well with the Fonseca Cubano Exclusivo. This can be attributed to the excellent construction of this cigar. In fact this is one of the better constructed box-press cigars I’ve seen in 2013. Overall the burn line had a tiny bit of jaggedness, but never meandered or canoed. The resulting ash was tight and white in color. The burn rate and burn temperature were ideal. The draw was excellent as well. The Fonseca Cubano Exclusivo was a low maintenance cigar to draw on – making it a very enjoyable smoking experience. From a strength perspective, the Fonseca Cubano Exclusivo is going to have more kick than most of the core lines. I wouldn’t say it is as strong as cigars like the Fonseca CXX Anni, Fonseca TAA Signature Series, or Fonseca Cubano Limitado. I assessed the Fonseca Cubano Exclusivo to be a medium strength cigar in the first half. The cigar progresses to medium to full strength in the second half. The strength increases right until the end, but falls a little short of being assessed as full strength. The flavors to the Fonseca Cubano Exclusivo have some nice depth to them. The cigar starts out medium to full-bodied. It holds in this area of the spectrum until the last third where the flavors cross the threshold into full-bodied. Overall, I would say the Cubano Exclusivo is a body over strength cigar – but also would not say the two attributes have a large gap between them. Overall, I found the Fonseca Cubano Exclusivo to be a very good cigar. It delivers a nice combination of flavors supported by some nice construction. The goal of this cigar was to provide a more fuller offering. As I mentioned, this isn’t going to be the most powerful cigar from a strength perspective, but it is going to provide some bolder flavors. I found this to be the perfect cigar to move fans of the Fonseca Classic cigars as well as novice cigar enthusiasts into something a little stronger and bolder. Experienced cigar enthusiasts will appreciate the flavors this cigar delivers. 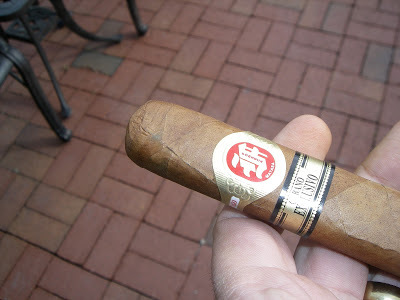 As for myself, this is definitely a cigar I would smoke again – and keep in my cigar rotation.